“Uncle Cliff, Dad’s twin brother,” Anna said. “That’s nice. Though what kind of preparation can you do against the Sutr Virus except take your vitamins, live in an aquarium and hope for the best?” asked Mrs. Bendham. “We were better off for longer because of my brother-in-law,” Jack answered. “Until everything was taken away.” Anna said. Jack heard something new in her daughter’s voice. That wasn’t self-pity. Anna hated the old lady. Good, Jack thought. Self-pity drains energy. Anger pays it out. 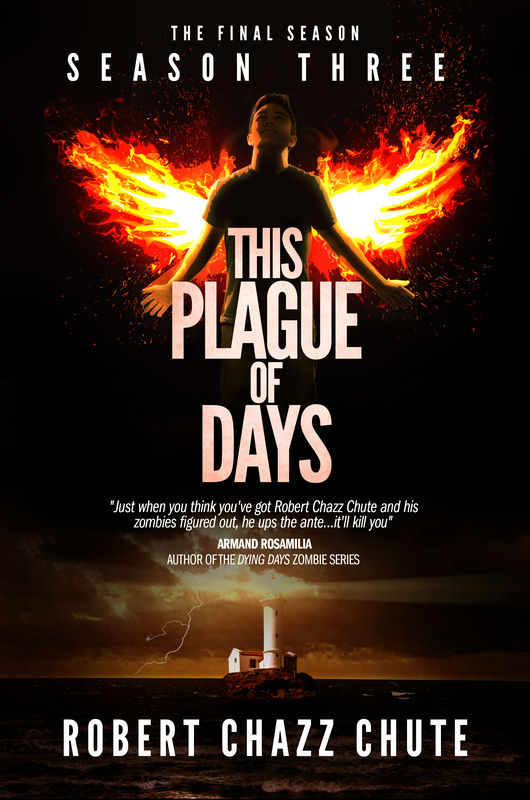 Grab This Plague of Days, Season One here. Want to hear excerpts from my crime novel, Higher Than Jesus? Check out the All That Chazz podcast here. Overdosing on Chazz? Learn to love me. Hear my interviews with cool people on the Cool People Podcast. 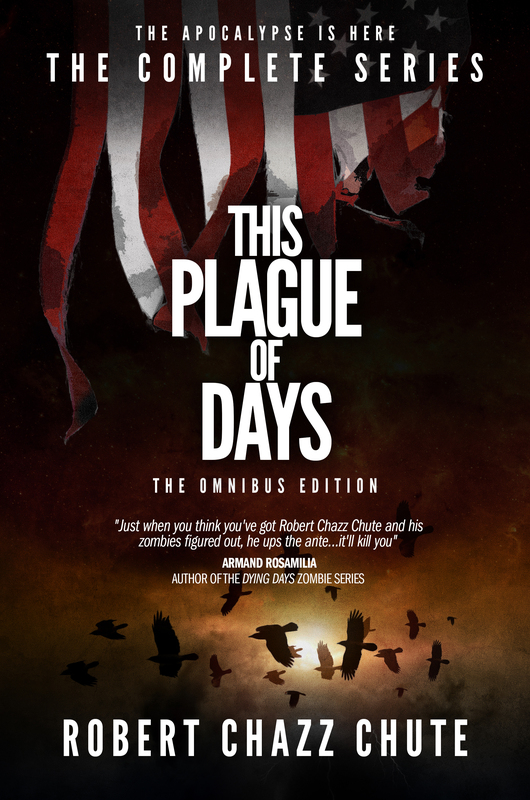 This entry was posted on Thursday, July 11th, 2013 at 12:22 am	and tagged with apocalypse, drama, fiction, horror, horror serial, ITunes, literature, Maine, paranormal, plague, Podcast, post-apocalypse, robert chazz chute, serial, This Plague of Days, writing, zombies and posted in apocalyptic fiction, the book, the serial, This Plague of Days. You can follow any responses to this entry through the RSS 2.0 feed.